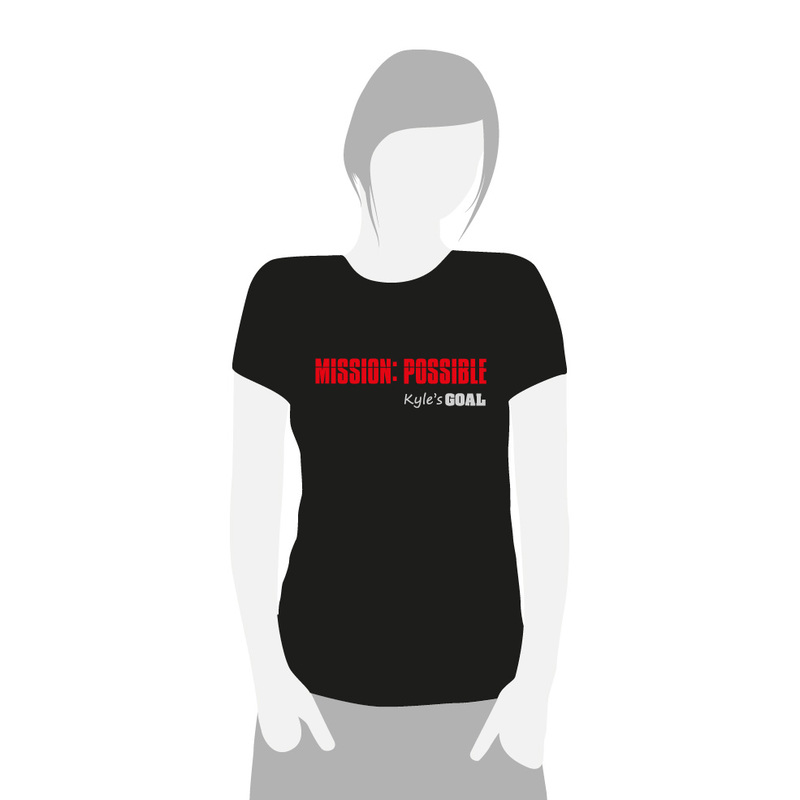 Your mission, should you choose to accept it is to support Kyle’s Goal by wearing our “Mission: Possible” t-shirt printed in red and white onto a black women’s fitted t-shirt. Warning. This t-shirt definitely won’t self destruct in five seconds!